Tooth sensitivity may not seem like a big deal…that is, until you have it. The shooting pain that comes when you bite into an ice cream cone or take a sip of hot coffee is just unbearable. If you have severe tooth sensitivity, even an icy cold wind can leave your teeth in pain. 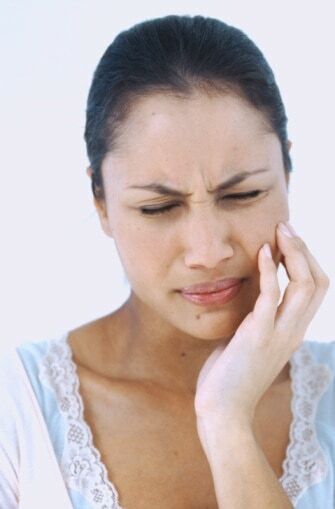 What causes tooth sensitivity? Enamel erosion might be to blame, and the same goes for tooth decay. Everyone knows that you need to brush, floss, and go to the dentist regularly to maintain a healthy smile. Avoiding staining foods and drinks and limiting your sugar intake also contribute to a healthy and attractive smile. 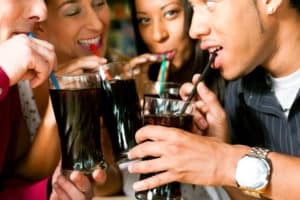 What you may not know, however, is that how you use your teeth greatly impacts the health and appearance of your smile. Do you crunch on ice? Cool it! Anytime you crunch on a hard, solid object (whether it is food or something else), you run the risk of cracking, chipping, or otherwise damaging a tooth or several teeth, your tooth enamel, or existing dental work. Ice cubes, due partially to their cold temperature, increase this risk. Also, because of its temperature, ice can potentially shock a nerve in your tooth, causing the need for root canal therapy. Do you use your teeth to rip tags off of clothing, open wrappers, open bottles, and hold things when your hands are full? If so, you’re putting yourself at risk for severe dental damage and infection. Our teeth are meant to bite, chew, help us speak properly, and help us smile- that’s it. They’re not pliers, scissors, or spare hands. Is using mouthwash part of your everyday dental hygiene routine? For some people, swishing with mouthwash goes hand in hand with brushing and flossing. For others, mouthwash is only used occasionally, before a special occasion, or not at all. A mouthwash with fluoride can help reduce your risk of cavities and periodontal disease. 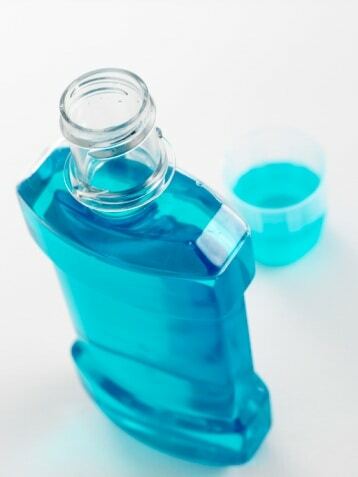 Mouthwash can make your mouth feel fresh and your breath smell better. When asked, most people attribute this advantage as their reason for using mouthwash in the first place. Because it can reduce the strength and amount of dental plaque and bacteria in your mouth, the use of mouthwash helps to promote overall oral health. Overall, mouthwash helps to ensure the health of your smile, but it is crucial to know that mouthwash alone is not enough to keep your teeth, gums, and tongue healthy. Dr. William Wager and Dr. Brian Evans suggest using a mouthwash or oral rinse as the final step in the dental hygiene process. After fully cleaning your mouth (that means brushing and flossing), swish with a mouthwash or oral rinse, spit it out, and go to bed or leave the house for the day. There are many types of mouthwash available, and certain kinds are available for patients with special needs. At your next dental checkup and cleaning, talk to a member of the Wager Evans Dental team about which mouthwash or oral rinse is right for you. To reserve an appointment, call our Reno, Nevada dental office at (775) 800-4845. Sometimes a filling is not strong enough to repair a tooth. In cases of deep decay, chipping, or fracture, dental crowns (aka caps) can often provide stability and repair the functionality of teeth. We’re Dr. William Wager and Dr. Brian Evans, and we offer beautiful dental crowns in our Reno, NV, dental office. After we have determined that you require a dental crown, we will choose the best option for you. We offer porcelain, metal (gold), porcelain-fused-to-metal (PFM) crowns. Porcelain crowns mimic the color and opacity of natural teeth, and we will select the color that matches your teeth. Because porcelain crowns are not as strong as our other options, we place them on front teeth. In cases where teeth are under high pressure—like back teeth, or front teeth in patients with bruxism (nighttime grinding)—we will place gold or PFM crowns, which are much stronger than porcelain alone. You will need to come to our office twice for crown placement. During the first visit, we will prepare the tooth for the crown, take dental impressions, and send the impressions to a dental lab that will make your restoration. Once we receive the crown from the lab, you will come in for a final adjustment and we will cement the crown in place. If you are interested in dental crowns or other restorative dental procedures, please call Wager Evans Dental at (775) 800-4845. We offer restorative, preventive, and cosmetic dental services to patients in Reno, Lawton, Spanish Springs, and Sparks, NV. At Wager Evans Dental, we believe in a strong connection between your oral health and your overall health. It’s clear that maintaining oral health is essential to optimal wellness, and this month is the perfect time to bring attention to one of the reasons this connection is so important. The month of May is National Stroke Awareness Month. While you may wonder what stroke awareness is doing on a dental blog, it’s important to know that strokes are much more closely related to your oral health than you may have thought. In addition to being linked to health issues like tooth loss, osteoporosis, diabetes, heart disease, and Alzheimer’s, gum disease is a leading risk factor for strokes. Researchers have been trying to prove this connection for years, and, last month, the Seoul National University College of Dentistry in Seoul, North Korea, found that gum disease is twice as likely to cause strokes than it is to cause diabetes. Also, gum disease is equally as likely to cause strokes as it is to cause high blood pressure. So, where does this connection come from? A stroke occurs when a ruptured blood vessel or impaired blood flow causes brain hemorrhaging (bleeding) or when a clot blocks a blood vessel. Dr. Wu, a stroke expert from the State University of New York at Buffalo, says that bacteria are to blame. Harmful bacteria enter the bloodstream from the mouth, stimulating blood clotting, damaging the lining of blood vessels, and increasing the risk of stroke. The bottom line: take care of your dental health to reduce your risk of gum disease and stroke. The best way to protect yourself is by having regular dental exams and cleanings every six months and brushing and flossing daily at home. We’re Dr. Brian Evans and Dr. William Wager, and the health and wellbeing of our patients is our top priority. We want to help you maintain optimal oral health and a high quality of life. For more information about gum disease, oral hygiene, or to schedule an appointment, call our dental office in Reno, Nevada, at (775) 800-4845.